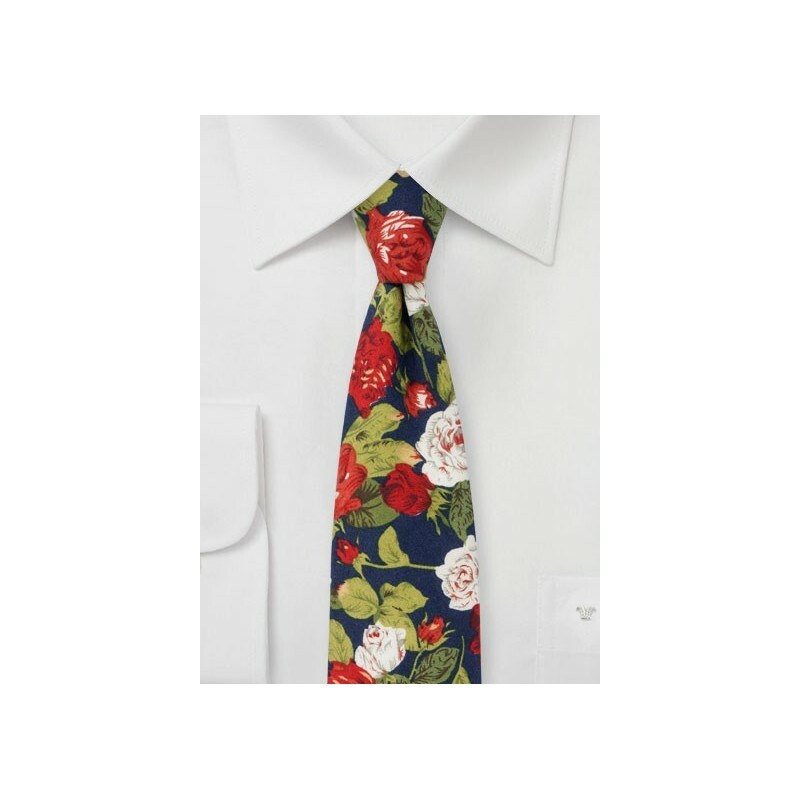 This rose print cotton tie is a perfect summer accessory for weddings! 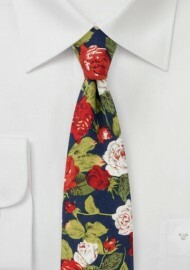 While certainly a great tie for the groom, it can also be perfect for the wedding guest. Add to your favorite navy suit, white shirt, and a white linen pocket square for perfect looks. Handmade using a casual cotton fabric and tailored with a modern 2.75 inch cut.